Giveaway! Glaze Men's Bracelet Home | About Us | Opportunities | Sponsorships | Contact Us! We are so thrilled to be hosting a giveaway for the amazing Glaze shop on Etsy! 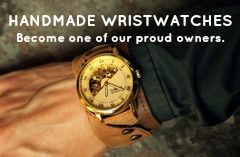 Glaze is creating some of the most unique and interesting handmade men’s bracelets we’ve seen, and we know you’ll feel the same. In this exclusive Handmade Men giveaway, Glaze is giving you the chance to win a one-of-a-kind men’s bracelet made from genuine matte onyx stone beads, two pewter in brass skulls, and two brass spacer beads. The design is balanced, eye-catching, and masculine, and we think it would make a great addition to any style! Onyx combines with pewter and brass to create a men’s handmade bracelet with all the style! 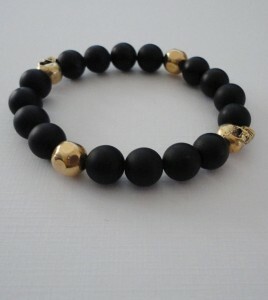 This men’s bracelet is available in small (6-7 in. ), medium (7-8 in.) or large (8-9 in.) to give you the perfect fit. The lucky winner will be announced on Valentine’s Day (2/14/2013), so grab your entries now! Get up to 40 entries in a matter of minutes! 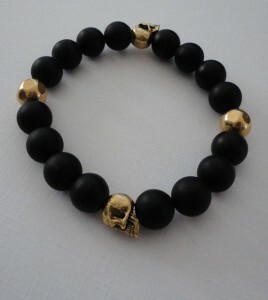 Tagged etsy, giveaway, Glaze, Men's Bracelet, Onyx, Skull. Bookmark the permalink. Helo..where can i get this bracelet?